Conveyancers should set up a project to plan the future of their industry and start with a “blank sheet of paper”, Professor Richard Susskind has said. 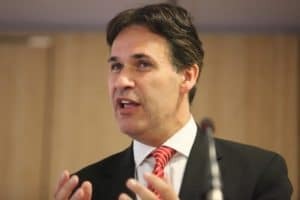 Professor Susskind, IT adviser to the Lord Chief Justice, said conveyancing would look “radically different” a decade from now and it was a mistake to think that this would be achieved by “leisurely evolution”. He was speaking at last week’s Conveyancing Association conference, which revealed widespread support for the introduction of a ‘pre-contract pack’ for buyers, including title deeds but not local authority searches or surveys. Professor Susskind said it was tempting to think of conveyancing “in its own silo”, but this neglected the “customer journey” and use of technology. “The sense I get from chatting to people is that improvement is going to be of a mild, evolutionary sort,” he said. “I’m not suggesting we should be revolutionary. What I argue for is what I call incremental transformation. If we assembled 10 years from now, I really do think that conveyancing would be radically different. “It won’t be through switching on a completely new system, but through five or six incremental changes that will transform the process. “A leisurely evolution is not going to do it. You should have a project where you begin with a blank sheet of paper. People often say you can’t start with a blank sheet of paper. I say the reverse. Opening the conference, Baroness Hayter, a former chair of the Legal Services Consumer Panel, called on conveyancers to keep clients informed at every stage of the process and improve the “softer skills associated with the service sector”. However, Professor Susskind questioned whether soft skills were really what clients wanted. “It may not be that clients in the future will any longer require a soft skills service,” he said. Professor Susskind said one of the most controversial conclusions of his recent book, The Future of the Professions, concerned ‘trusted advisers’. 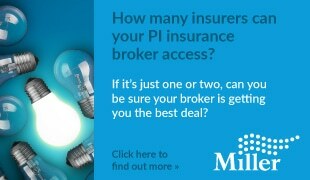 He went on: “Professional advisers often think that what clients want is a trusted adviser. We argue that it is a trustworthy solution. “Clients just want to be confident that they haven’t taken any legal risks and they now own the property without any comeback. In a separate development, research by Search Acumen has found that the average number of completed transactions per conveyancer rose by 55% from 2012 to 2015. The search provider found that while the number of conveyancers fell by 7% during the period, the volume of sales and purchases rose by 44%. Instead of one transaction every 3.5 working day in 2012, conveyancers completed one transaction every 2.4 days in 2015. Andrew Lloyd, managing director of Search Acumen, said: “An average increase of 11 transactions per person each year is a result that most other UK industries, especially those in the services sector, will envy. “However, many conveyancers are undoubtedly feeling the pressure of the extra workload and many firms have been working flat out to handle the rising number of transactions we have seen since 2012. “To sustain the gains that have been made in recent years in an uncertain post-Brexit business environment, conveyancing firms will have to step up their efforts even more to stand out from the competition. Search Acumen has launched an online tool to allow firms to compare their productivity against the industry average. Can Susskind actually speak in plain, understandable English?